The best way to keep from getting sick may be boosting your immune system. A healthy immune system is a more reasonable approach than trying to systematically destroy or protect yourself from all the germs in your world. That being said, it's good to wash your hands to protect yourself and cover your mouth when you cough or sneeze to protect others. That being said, a healthy immune system should be cornerstone of staying healthy and your first line of defense. One thing to keep in mind with the immune system, is that more isn't always better. Both an a overactive or underactive immune system means trouble. When the immune system is weak the body is more susceptible to to an intruder like a virus or bacteria leading to an infection. A critically underactive immune system can also lead to cancer if the body cannot rid itself of these cells at the onset. An overactive immune system leads to trouble as well. 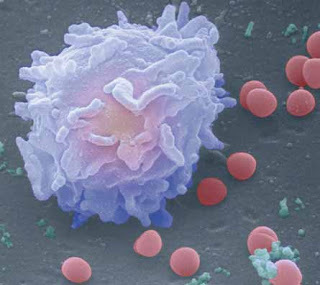 An over active immune system starts to attack itself. At low levels this looks like allergies, asthma, and particularly eczema. At more intense levels, it leads to autoimmune disease, where the body begins to attack itself. In this case, the immune system has power to stop the bad players, but has trouble recognizing the good from the bad agents. So, we want a healthy immune system that knows the good from the bad and deals effectively with bad agents. The immune system is very complex and difficult to understand, but let's take a look at some of the key factors that contribute to the effectiveness if your immune system. Nice post. So many people just focus on diet and being "skinny." There's so much more to being healthy - as you point out in your article. - stabilizes the immune system and increases the body's resistance. - Acting always healing colds and flu symptoms. - The immune system needs 4 to 5 hours of sleep to fully recover. Sleepless nights LOWERS your strength! - To keep away skin irritants and infections of the epidermis, your skin must be moist . Two liters of water a day is the minimum. Drink water even if you do not feel thirsty. More immune system tips can see here.